Shown is the mobile home owned by Ray Wooten that was damaged during the storm. 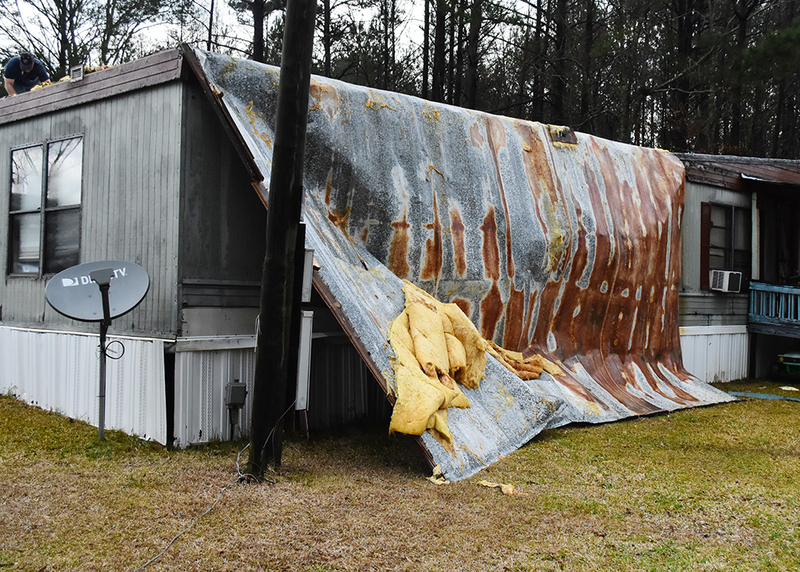 A brief but powerful thunderstorm in Fayette County cused some minor damage to trees and one residence in the county, according to Fayette County Emergency Management Director Russ Taylor. Taylor said that Fayette was never under a tornado warning, but much of the county was under a severe thunderstorm warning and a tornado watch for much of the afternoon and early evening on Thursday. March 14.